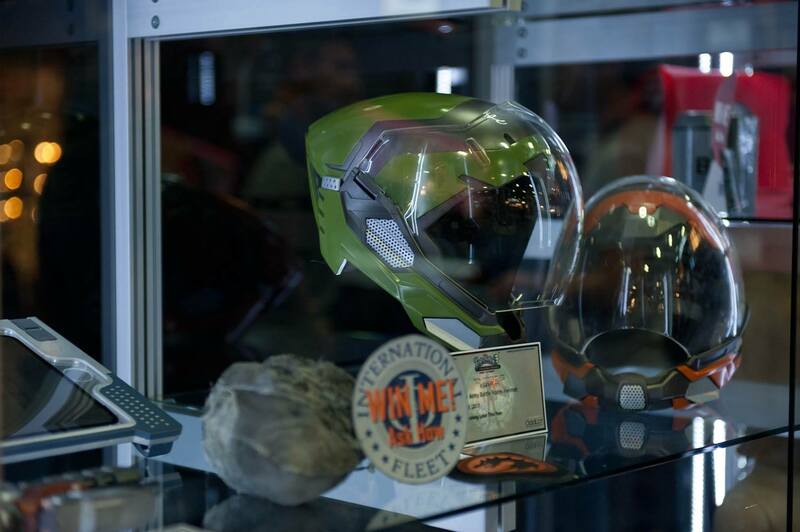 Coming Soon: ‘Ender’s Game’ Movie Props Auction! 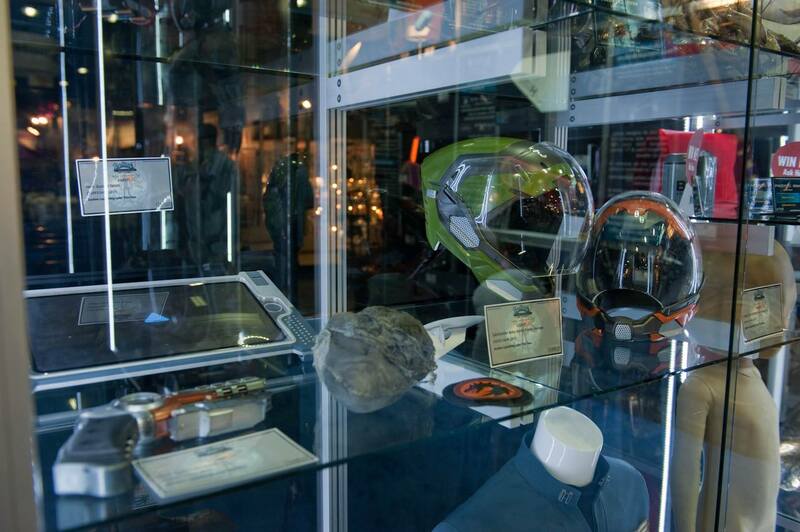 The Prop Store will hold an auction for several ‘Ender’s Game’ film props later this summer in partnership with Odd Lot Entertainment. 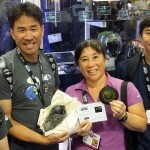 At San Diego Comic-Con (SDCC) last weekend, the Prop Store booth promoted an ‘Ender’s Game’ film prop auction which will be held later this summer. 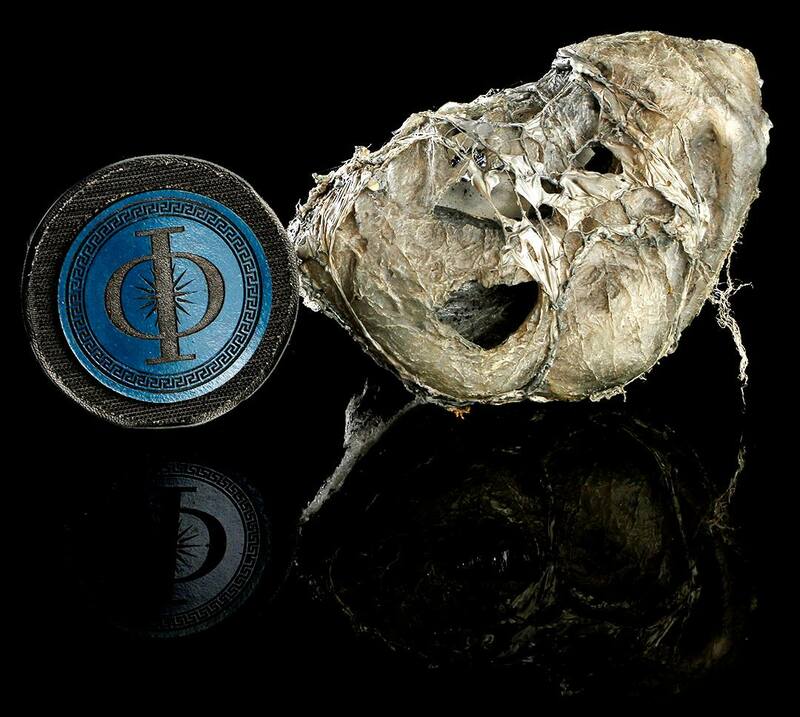 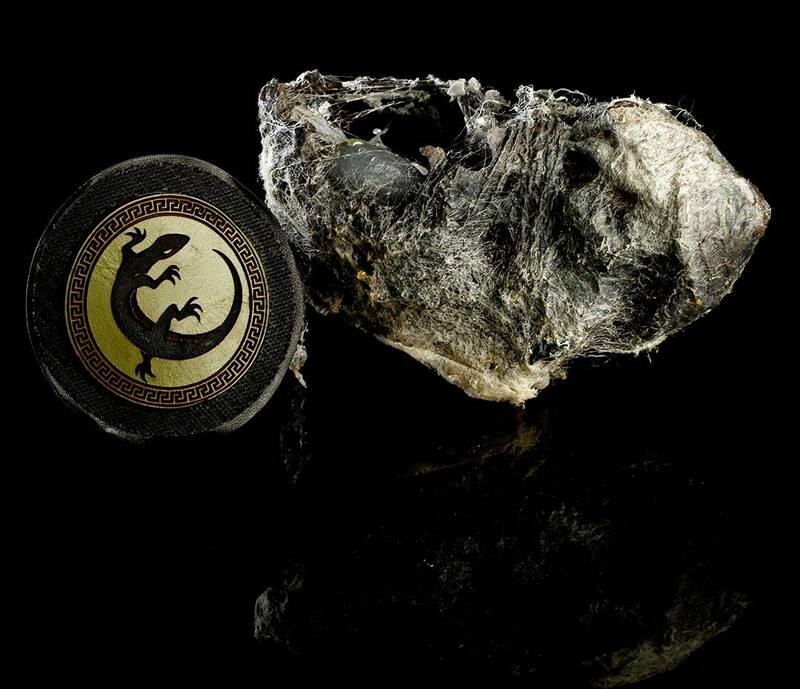 The date of the auction has yet to be announced, but the date is expected to be shortly after August 25 when the site will hold a ‘Pacific Rim’ auction. 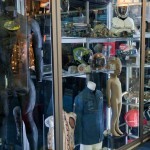 A catalog of props has not been made public, but the Prop Store is promoting the ‘Ender’s Game’ sale with the following highlights: “Flash suits with helmets” (Want! 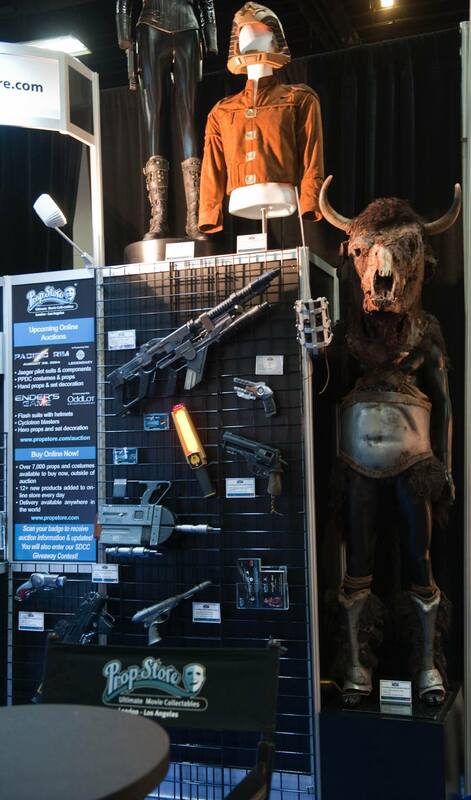 ), “Cyclotron blasters” AKA flash guns (Want! 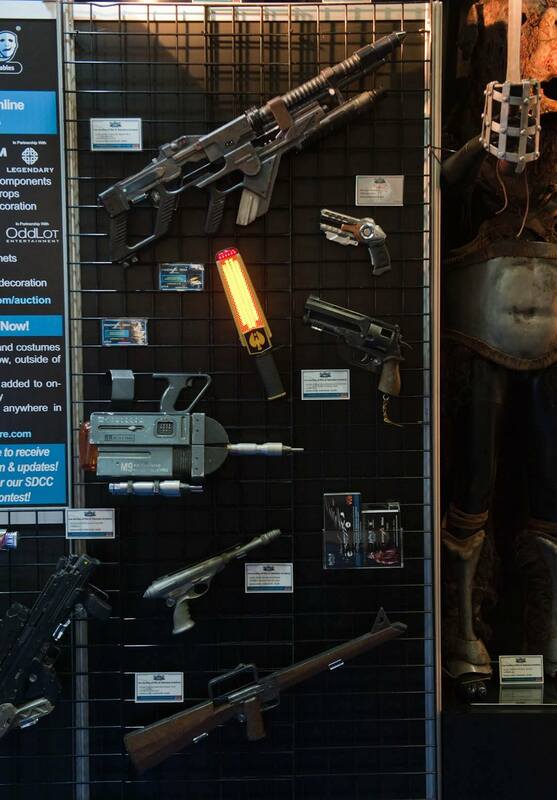 ), and “Hero props and set decorations.” The last highlight is vague, but it will be interesting to see what gets put on sale. 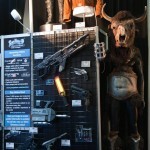 At SDCC, the Prop Store booth displayed Colonel Graff’s I.F. 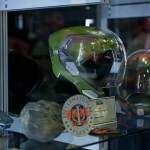 jacket worn by Harrison Ford, two flash suit helmets- one orange (Dragon Army) and one green (Salamander Army), two flash guns, various patches- Dragon Army, Salamander Army, Bobcat Army, and the I.F., a battle school “desk”/ tablet, and a formic egg. 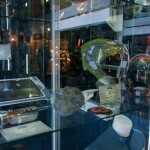 Side note: One flash gun was in this glass case, another was attached to a wall. 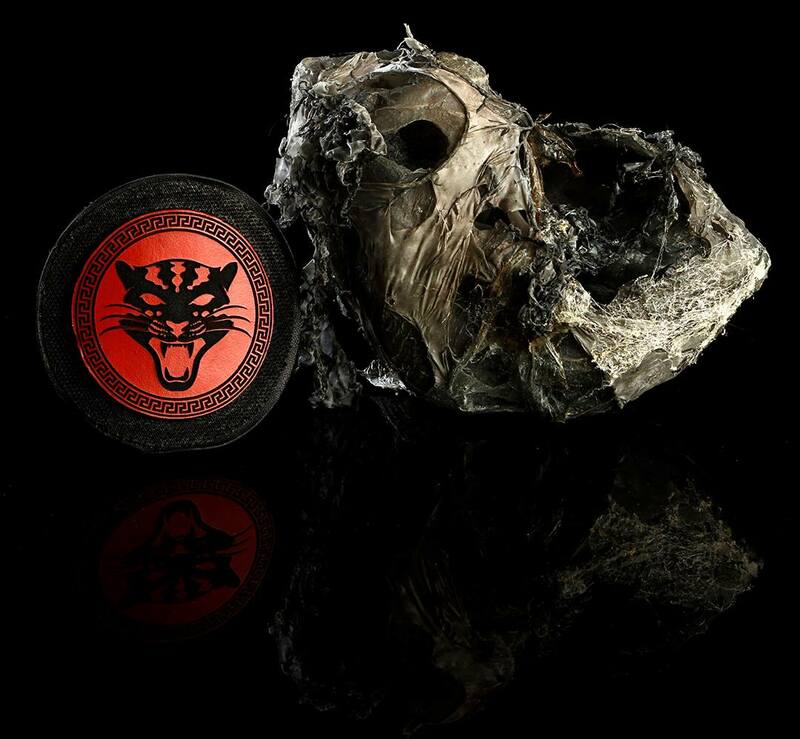 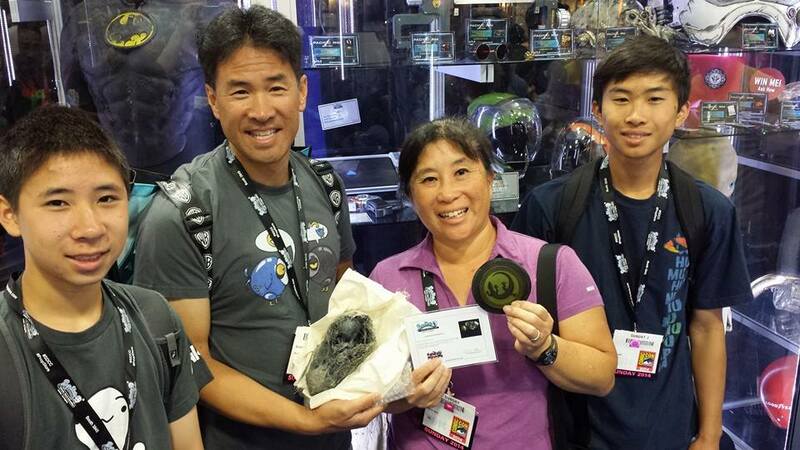 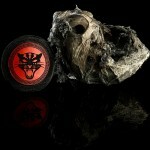 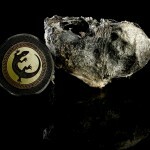 One lucky person won the formic egg and a Salamander Army Patch during the Prop Store’s SDCC promotion. 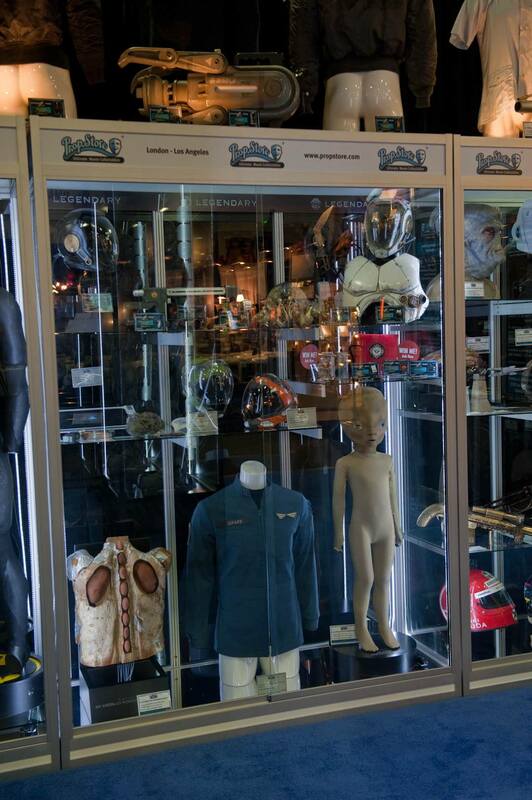 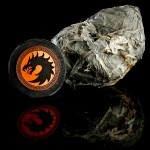 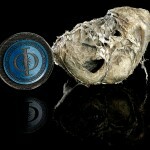 According to the Prop Store, the ‘Ender’s Game’ auction is in partnership with Odd Lot Entertainment. 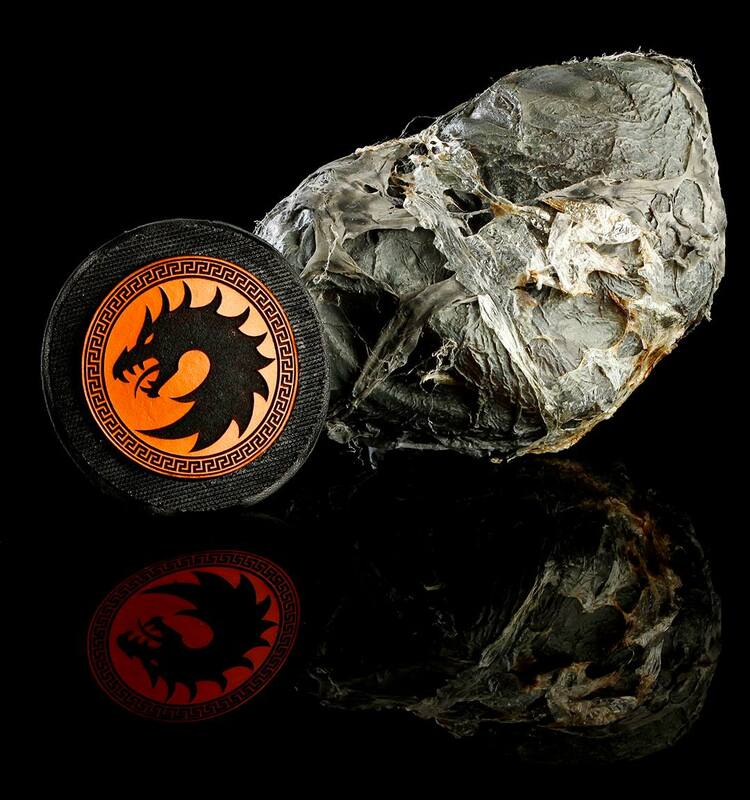 The ‘Ender’s Game’ film was produced by several production companies so it’s possible that some of the film’s props were distributed among some or all of the production companies. 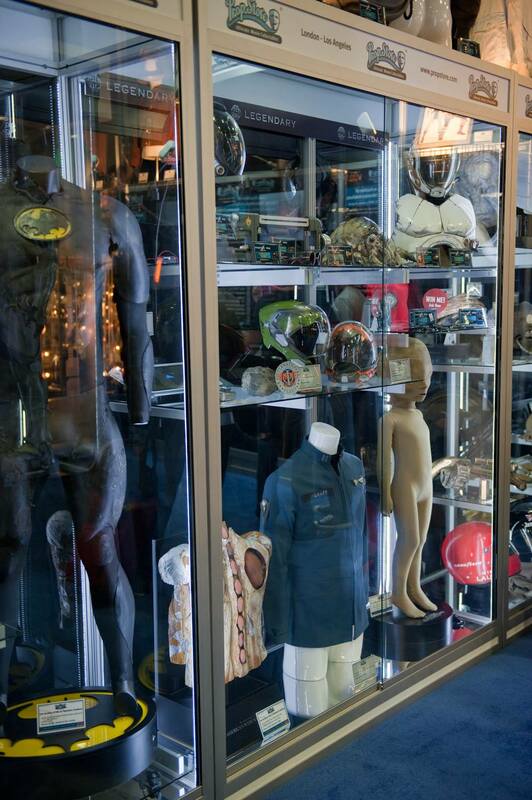 Therefore, some fan-favorite props may not be for sale at this auction. 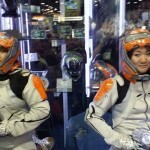 Registering for the ‘Ender’s Game’ auction requires a credit card, if you’re interested click here. 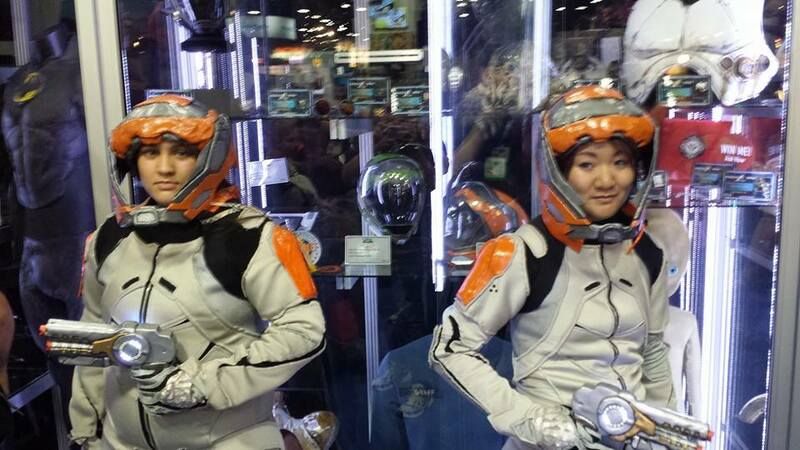 Like us on Facebook for up to date ‘Ender’s Game’ news! 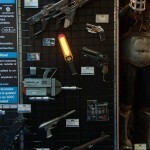 All photos courtesy of the Prop Store Facebook page.